A Mobile Loan is all you need to stay afloat! MobileLoans.com is here to help you on your terms. There are many reasons why people may need cash loans, which are also sometimes known as fast cash loans. The fact is, at some point just about everyone goes through a period when their household finances seem to be stretched to the limit. Furthermore, medical emergencies, auto mishaps and other unexpected occurrences requiring a considerable outlay of cash always seem to happen when people are tight on money or in between paychecks. In these situations, individuals often find that they have few good options to choose from to solve their financial problems. Increasingly, however, fast cash loans are proving to be an ideal option for people nationwide. Consumers can acquire these loans to help them cover financial shortcomings, and they can get this help more quickly, conveniently and easily than from traditional lenders such as banks. Here at MobileLoans.com, we specialize in connecting people in need with lenders providing helpful cash loans. Our lender network includes state and Tribal lenders. Tribal lenders’ rates and fees may be higher than state-licensed lenders, and are subject to federal and tribal laws, not state laws. Quick loan decision: A decision on cash loan requests can be made quickly. Cash in hand fast: You can usually acquire a cash loan within one business day of the time you get approved for it. All Credit Types Welcomed: Banks rule out most people for loans because of bad credit; with cash loans, all credit types are welcomed to submit a loan request. Our goal is simple: to get money into your pocket quickly to help you make it to the next payday. To help us achieve this goal, we have made the process of acquiring a cash loan fast and easy from start to finish. The first step is to fill out a brief loan request here on our website, which takes just a few minutes. Here are some of the requirements that a prospective borrower must meet. Please note that meeting these requirements does not mean that you will be connected to a lender. After you submit your loan request, it generally takes only a few minutes for us to process it and then forward it to the members of our affiliated lender network. Lenders will then proceed to review your information to see if they can offer you a loan. In order to increase your chances of being offered a loan, we work with a large network of lenders who are willing to work with all different types of customers. If you are connected with a lender, all you need to do is review the contract, affix your e-signature to the lender’s contract, and wait for your funds, which will be deposited directly into your bank account via electronic fund transfer in as little as one business day! Loan repayment is just as easy, as your lender, once the due date rolls around, can simply withdraw money electronically from the same account into which they originally deposited your funds. And in case your loan period ends and money is not in your account to repay the loan, make sure to contact the lender ahead of time so you can inquire about an extension. Many lenders will offer extensions so individuals don’t risk damaging their credit because of non-repayment. When taking out a cash loan, consumers should always be sure they are seeking short-term assistance for valid emergencies. Such emergencies include medical and auto mishaps or unforeseen expenses related to the home and family. It is dangerous for individuals to take out a loan for reasons other than these, especially for things such as big-ticket purchases or paying off a portion of a credit card bill. Using a loan for these things often can leave individuals lacking in funds when repayment becomes due, making their financial situation even more precarious. Also, remember to only take out a loan for the exact amount you need. Taking out more money than necessary will just leave you having to potentially pay back more in fees and charges. MobileLoans.com prides itself on providing consumers with a fast, simple, safe and reliable loan process. We are dedicated to protecting the privacy of individuals who seek out assistance, and those who submit a loan request online can feel safe knowing their important information is protected at all times. Additionally, in contrast to some companies out there that, unfortunately, give the cash loan industry a bad name with their practices, we only work with prescreened, trusted lenders who abide by all established federal and state lending laws and will never do such things as present unsolicited offers to individuals or ask for fees and other charges up front. There are a lot of lenders in the cash loan industry. Be selective when you get your cash loans, and trust MobileLoans.com to connect you to a lender that can help you make it through to the next paycheck. APR stands for Annual Percentage Rate which represents the annualized interest rate that you are charged. MobileLoans.com is not a lender and does not provide cash loans but refers consumers to lenders who may provide loans of this type. MobileLoans.com does not charge any fees for this service. MobileLoans.com is not able to supply you with the exact APR that you will be charged by your lender. APRs can vary based on the information that you supply in your loan request as well as the information that your lender supplies. Your lender will provide you with details on the APR, loan finance charges and other terms when you are redirected to your loan agreement during the loan request process. For help with any MobileLoans.com-related services consumers may Contact Us. The APR on a cash loan can range from 250 percent to 2,350 percent depending on how it is calculated which may include variables such as the term of the loan, fees incurred (non-payment, late fees, etc...), loan renewal options and other variables. Please in mind that the APR range is not your finance charge, which will be disclosed by your lender later on in the request process. MobileLoans.com only works with lenders who give customers detailed information on terms and conditions prior to their acceptance of the loan offer. It is recommended that you closely review the terms of any loan offer presented to you. For more details about the aforementioned considerations see our Lending Policy and Rates & Fees sections. Cash loans are relatively pricey when compared with other loan types. Cash loans are not recommended as a long-term financial solution and should only be taken out in emergency situations. If you are approved for a loan, your lender will present you with the exact fees and interest rate of your loan prior to you formally accepting their offer. MobileLoans.com is not a lender and cannot predict the exact fees and interest that will be attached to the loan offer presented to you. You are not under any obligation whatsoever to accept the terms that the lender presents to you. When you accept the terms and conditions for a particular loan offer, you are agreeing to pay back the loan principal and finance charges in the amount of time specified in the documents that your lender supplies. Additional charges or fees may apply in the event that you are not able to repay your loan in full or make a late payment. MobileLoans.com cannot predict the amount of the charges or fees that you will incur as a result of partial payment, late payment or nonpayment. MobileLoans.com has no control over knowledge of the loan details between you and your lender. Please refer to the partial payment, late payment and nonpayment policies detailed in the loan documents that your lender provides you with. 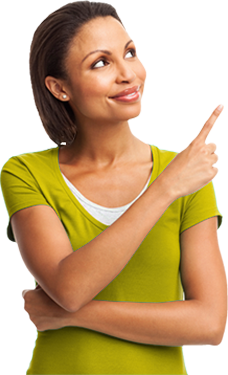 MobileLoans.com does make an effort to work only with reputable lenders who are committed to pursuing collections of past-due accounts in a reasonable and fair manner. MobileLoans.com does not make credit decisions nor does it ever conduct credit inquiries on potential borrowers. Some members of the MobileLoans.com lender network may choose to conduct a nontraditional credit check in order to determine your eligibility for a loan. Lenders typically will not conduct a credit inquiry with any of the three major credit reporting agencies (Transunion, Experian and Equifax). Ultimately, your credit score may be affected by the actions of a particular lender. If you do not repay your loan on time your lender may report this delinquency to one or more credit reporting agencies, which could have a negative impact on your credit score. MobileLoans.com encourages consumers with credit problems to consult a Credit Counseling company. MobileLoans.com is not a lender and does not engage in debt collection practices. Your lender will disclose their collection practices to you in their loan documents. If you are not sure of the collection practices used by a specific lender we recommend that you discuss this issue with the lender directly. MobileLoans.com makes reasonable efforts to only work with established, reputable lenders who pursue collections of past-due accounts in a fair manner. Loan renewal policies are largely governed by state regulatory laws. Loan renewal options will be presented to you by your lender prior to your acceptance of their loan offer. Please be sure to carefully read the renewal policy presented to you before you sign the loan documents. Cash loans are intended to be a short-term financial instrument. MobileLoans.com encourages all borrowers to repay their loan in full and on time in order to avoid nonpayment and/or late payment fees. If you think that you may be unable to pay off a cash loan after taking it out, we recommend that you explore Loan Alternatives before submitting a request for a loan.